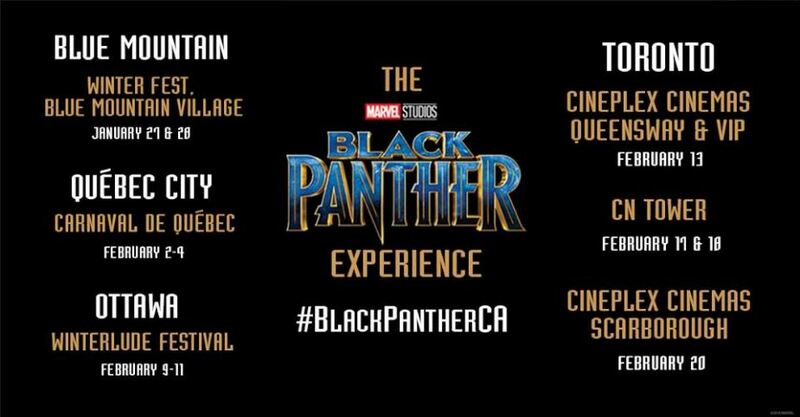 If you’re downtown at Winterlude this weekend, be sure to check out The Black Panther Experience in Confederation park! You can get your photo taken with Black Panther, see the inside of a vibranium mine, and check out the Wall of Heroes. Image from the Facebook post. 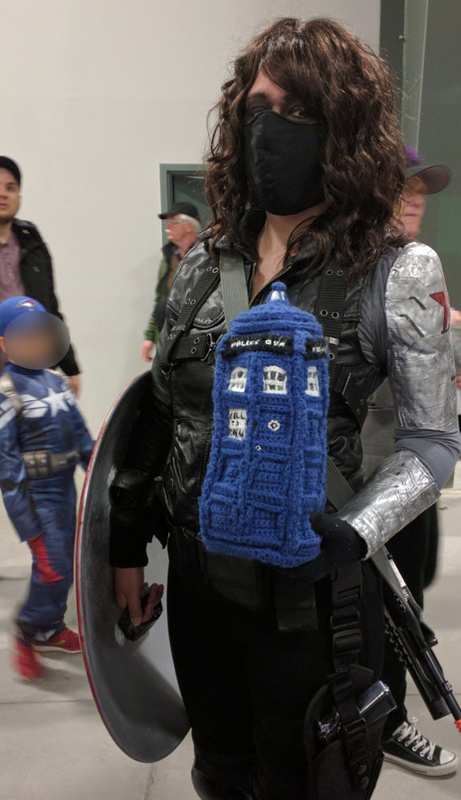 This Winter Soldier was running from Cap – see the shield? 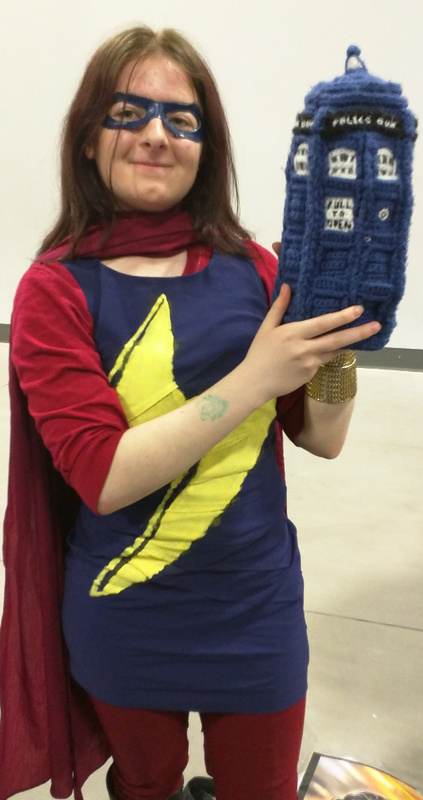 – but stopped to pose with the TARDIS. Unbeknownst to us, Cap snuck into the picture! Blurred face because of no permission asked of the parents. I love the leather jacket. Gorgeous. Miss Marvel is one of my favourite new superheroes! 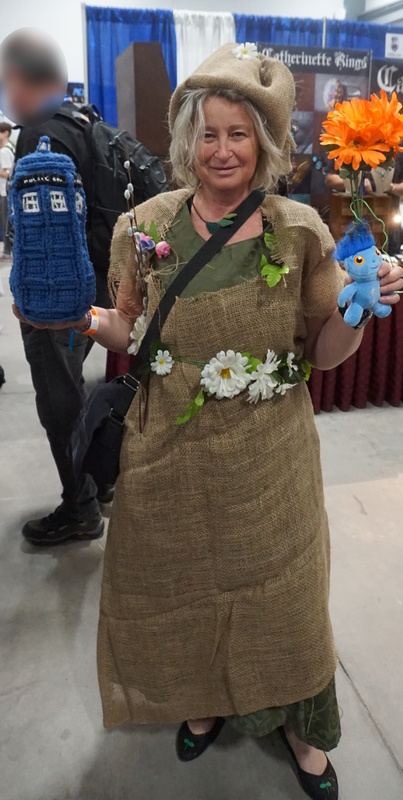 And this cosplayer did a fantastic job! This stunning Thor came by our table at Ottawa Comic Con. Look at that head-piece! 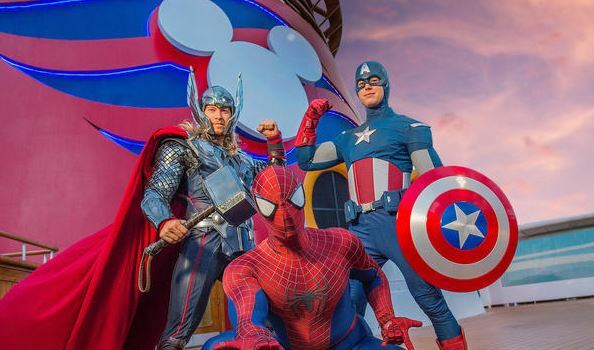 On board certain Disney Magic cruises, there is a new event – Marvel superheroes will be there as well! So if you would like to meet some superheroes, and would like to cruise the Bahamas for 7 or 8 nights, or Canada and New England for 7 nights, this is a perfect vacation for you! If you are concerned about the price of a cruise being too expensive, remember, cruise prices include the accommodation, your meals, and activities on board the ship. So take the total cost, divide it by the number of nights, and try to find another vacation that is that good a price! Mystique mysteriously materialized at our booth at Ottawa Comic Con 2016. 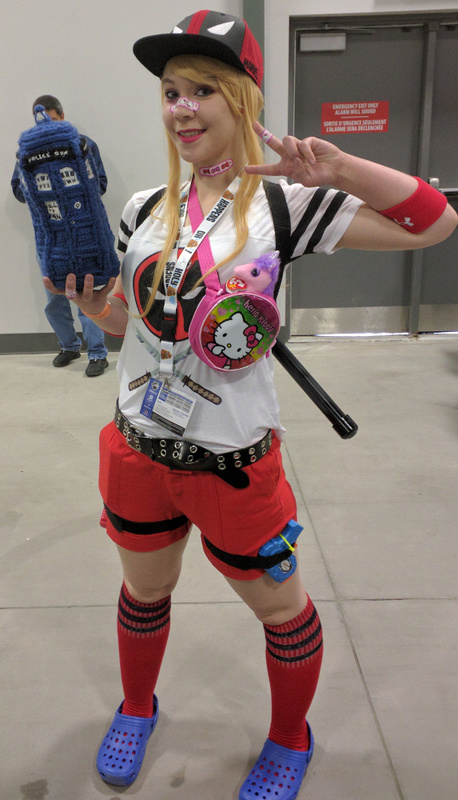 I love her version of the comic book character! 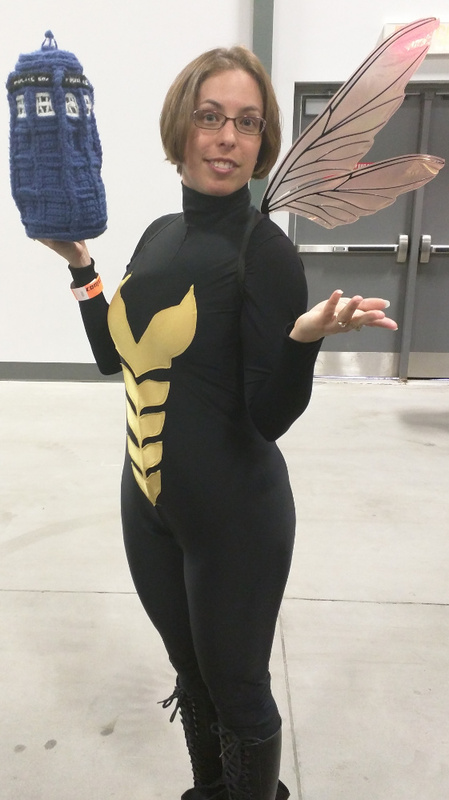 I was SO incredibly excited to see this cosplay of Wasp! (The only kind of wasp I like…) Look at those wings! Happy Canada Day from Deadpool, your friendly neighbourhood Canadian superhero! You may not have heard, but the popular convention Wizard World is hosting a 3-day convention on a cruise ship December 2-5, 2016. The Norwegian Sky will depart Miami and go to Nassau, Bahamas, but I’m sure you’d rather hear about the guests. Tickets go on pre-sale April 19th at 12 noon EST, and general sale April 20th at 12 noon EST. Prices start at $749.00 USD per person, not including airfare or a $299.00 USD per person booking charge from the cruise company. However, the base fare seems to include photos with the celebrities, all meals onboard as well as open bar, a special cruise-only gift item, and access to all Wizard World events on the ship. Here is the link to the official price list. Please note, the prices are in USD!